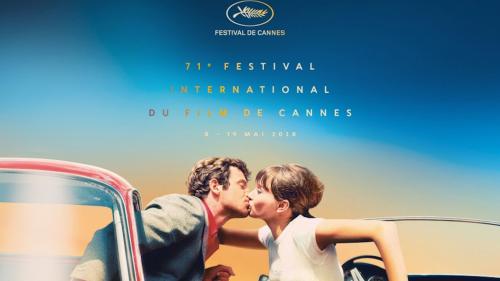 Christie®, a leader in creating and delivering the world's best visual and audio experiences, is once again delighted to be the projection technology partner for the Cannes Film Festival. The festival, which takes place on the French Riviera every year for two weeks in May, can lay claim to being, outside of the Oscars, the world’s most celebrated film event. For this year’s festival, which runs from 8-19th May, Christie has supplied 29 projectors from across its digital cinema projection portfolio, including its flagship 4K lamp-based model, the CP4230. The 2018 festival is the 71st in its history and 21 films from around the globe will be shown in competition for the coveted Palme d’Or prize. The prize committee, this year under the leadership of Cate Blanchett, will view all films on digital projection, with the transition from film which has been ongoing for the past decade, now complete. As well as the main festival there is also the Marché du Film, a gathering of over 12,000 industry professionals, which also has a number of smaller screening rooms also benefitting from Christie projection technology. Christie supplied 29 projectors to Cannes this year, with 10 going to the festival and 19 for the Marché du Film. All models are from the Solaria® series and comprise; the 4K-enabled CP4230 and CP4220 for the main screening rooms, the CP2230 for where films are being screened in 2K resolution and the CP2215 for the smaller Marché du Film rooms. The 71st Cannes Film Festival takes place from 8-19 May, and the Palme d’Or Jury will reveal the winner during the event’s closing ceremony.